Take control of the universe! 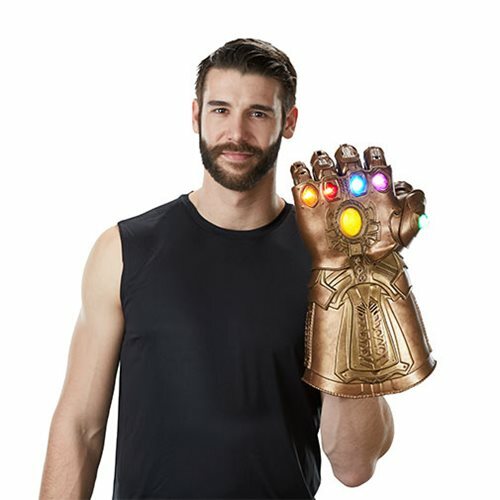 19 1/2-inch long Infinity Gauntlet with intricate detailing and 6 light-up Infinity Stones. Inspired by the Avengers: Infinity War movie. Features pulsating light effects, movie-inspired sounds, and articulated fingers! Thanos will be sooo mad! 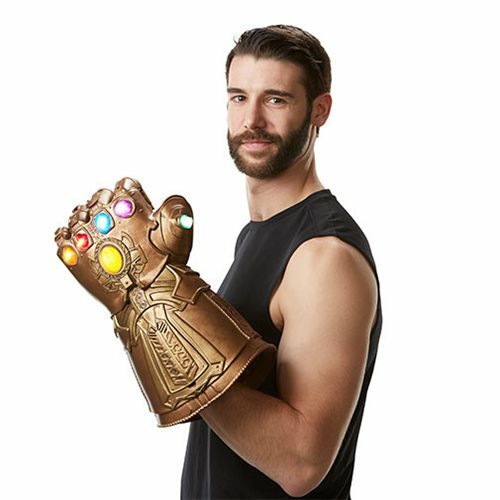 You don't have to be Thanos the Mad Titan to wield this 19 1/2-inch long Infinity Gauntlet with intricate detailing and 6 light-up Infinity Stones. 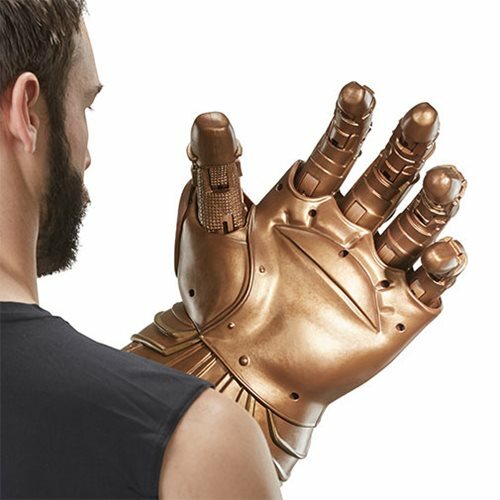 It boasts pulsating light effects, movie-inspired sounds, and individually articulated fingers, plus a fist-lock feature for display. 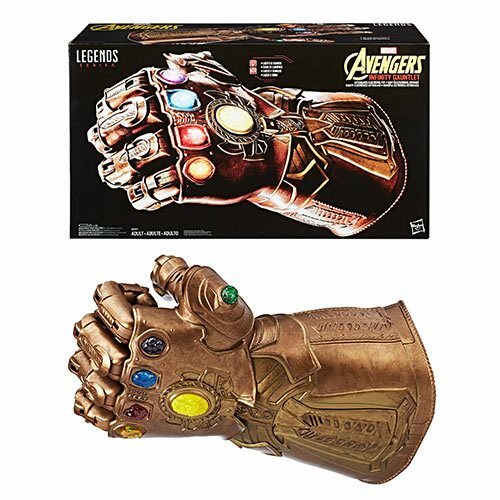 Bring one of the most powerful weapons in the Marvel Universe to life with this premium Marvel Legends Series Infinity Gauntlet Articulated Electronic Fist! A Mad Titan. Six Infinity Stones that control the multiverse. One mission to destroy the galaxy, another to save it. A team of heroes ready for the fight. 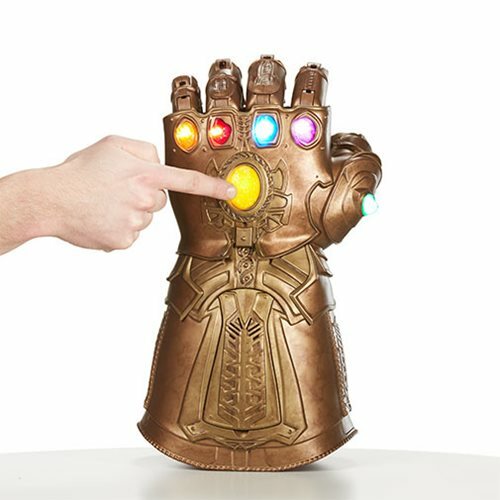 Whoever wields the Infinity Gauntlet determines the fate of the universe!